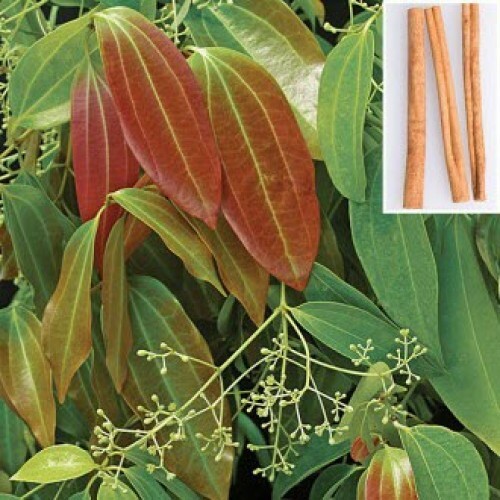 Ceylon Cinnamon (Cinnamomum verum) - the true cinnamon of the spice trade. The other type of cinnamon, which is also quite popular, is "Cassia Cinnamon". There are important health differences in the two types, with cassia cinnamon having much higher levels of coumarin, which is a naturally ocurring substance with strong blood-thinning properties. The coumarin level in Ceylon cinnamon is negligibly small, while that in Cassia cinnamon is an appalling 1200 times higher. The ingestion of large amount of coumarin or consumption of coumarin over a prolonged period of time can have a negative impact on the liver and kidney. The use of cinnamon by royalty is as old as time itself. The first references to cinnamon are encountered in Chinese books dated about 3000 B.C. Until recently, the high cost of cinnamon limited its use. The Roman historian Pliny wrote that the cost of cinnamon was fifteen times that of silver. Today, world production of cinnamon is about 8,000-10,000 tons per year, with 80-90% of this coming from Sri Lanka. The cinnamon tree can reach 50 ft in height, but on plantations are trained into bushes of 6-8 ft. The leaves are fragrant (they are often used to impart a cinnamon flavor to tea, for example). The cinnamon tree prefers a large amount of water. In its natural habitat, more than 2 meters of rain fall annually is best. The flowers are very small and unimposing, followed by small round purple fruits. 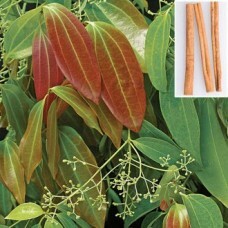 The cinnamon tree is propagated by seeds or cuttings. The plant is pruned after two or three years to form a bush, and cinnamon can already be harvested in the rainy season from a two-year old tree. The harvesting method is relatively simple. First branches are cut from the tree. These are left for a day or two- in the dampness the bark rots, and becomes easier to separate from the tree. After this comes the most complex part of the operation. The twigs and leaves are trimmed from the branches and the outer rough layer of of bark is scraped off. After this, “stripes” are cut into the branches to separate the bark from the inner wood of the branch. The bark is then cut from the branch by making two accurate parallel cuts, and it then forms the characteristic curled twigs that we recognize as cinnamon sticks. These are then cut accurately into 42-inch lengths and dried. One hectare yields about 200kg of cinnamon per year. Cinnamon tree can be easily grown as an exotic container plant, or planted in ground in the tropics (or areas with frost free climate). Fresh leaves may be added to tea. Enjoy the enticing aroma of this of this tropical plant year round.